Tween Tuesday is a weekly meme that highlights great reads for tweens! Add your own Tween Tuesday post in the comments below. I made a list of Diary of a Wimpy Kid read-alikes when I first started Tween Tuesday, but with the movie coming out, I thought I'd give some other great Wimpy Kid style books a shout out. -This is a book told all through "stuff"-from notes left on the fridge, to IM chats and e-mails. It's a quick read very creative. I wasn't sure if I would like the format, but it worked and you do get a feel for the characters, even though there is no narration or dialogue. Give this one to picky readers who claim not to like reading! -Big Nate is the latest entry into the Wimpy Kid-style world-and it's the book most likely to win over the Wimpy Kid readers. Nate is slightly younger than Greg Heffley, but the same tone, style, humor and voice are all ere. With a cover blurb by Jeff Kinney himself, I wouldn't be surprised if Nate became the book readers are clamoring for while waiting for more in the Wimpy Kid series. For a limited time, HarperCollins has the full Big Nate book available to read online, so get a sneak peek! -Zoey has 198 days until sixth grade and she has to discover how to be cool before then. Zoey is a fun likable narrator and the book has a great "you don't need to conform to be popular" message for younger tweens, without getting to sappy. What a fantastic list of read-alikes! I need to check some of these out. 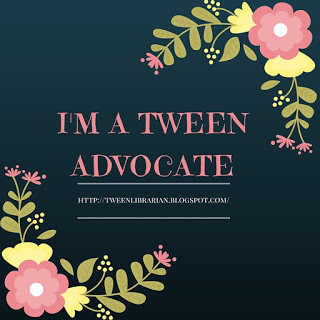 I just posted my Tween Tuesday review. You could also add the Fudge books by Judy Blume. I get a lot of raders hooked on those after they are finished with the Diaries. Here's my Tween Tuesday post. I'll definitely be passing this post on to our tween librarian -- she is always looking for updates to our "Wimpy Kid" read-a-like booklist. 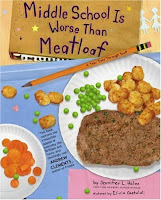 Middle School is Worse Than Meatloaf was such a fun departure from the ordinary! I loved the colorful pages--it was perfect for light reading! These look like fun books. I need to read more MG. I did purchase a few lately, but YA dominates my collection. I'm so glad you post tween tuesday! :) My niece is 12 so I'm always on the lookout for fun books I can send her (she loves girly reads like Meg Cabot and Jenny B. Jones). And, admittedly, I love mg books all to bits :) I've seen a series that looks so cute but I can't ever remember the name once I get out of the book store. May-Bird, maybe? About a girl who finds a magical world in a swamp? I'll write it on my hand next time I'm there. I wanted to ask you if you'd read it and what you thought of it. Natalie-Is it May Bird and the Ever After? I haven't read that one but I've heard it's good! Let me know if you check it out!